Plush Toys for little horse lovers! Plush Barn with 5 Horses. 12 1/2 x 8. Little girls can take their ponies shoppingor to a best friend''s house, out to dinner or visiting grandma! Pony-shaped purses have zipper tops and 16"-long shoulder straps. Decorated with embroidered details, ruffled manes, button eyes and braided tails. Specify Paint with Denim or Calico with Pink. 100% poly. 10" long. Age 3 and up. Plush horse backpack. Zippered pouch with adjustable straps. Plush rattle horse. 7 1/2 x 8 1/2. Plush Clydesdale. 6 1/2 x 6 1/2. Plush Paint Horse. 6 1/2 x 6 1/2. Nothing beats the exceptional look and quality of our Gray Horse Plush Animal. Among the finest made, you will be provided with great satisfaction and long lasting enjoyment. Why not pamper yourself or give a loved one a Gray Horse gift to show them how much you care. The Gray Horse Plush Animal will make the perfect gift for any Gray Horse lover. Shop with confidence, because all products come with a 100% customer satisfaction guarantee. Click over now to see the big selection of Gray Horse gifts we offer. Ooley plush horse. 15 tall. 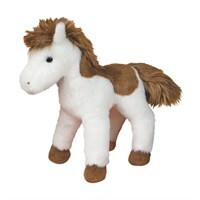 Nothing beats the exceptional look and quality of our Palomino Horse Plush Animal. Among the finest made, you will be provided with great satisfaction and long lasting enjoyment. Why not pamper yourself or give a loved one a Palomino Horse gift to show them how much you care. 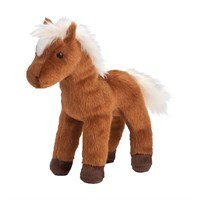 The Palomino Horse Plush Animal will make the perfect gift for any Palomino Horse lover. Shop with confidence, because all products come with a 100% customer satisfaction guarantee. Click over now to see the big selection of Palomino Horse gifts we offer. Plush horse in purse. Assorted colors.